This text of scripture is one that is truly a gift to the church, for few things have a more profound impact on a congregation than its leadership. Throughout church history there has been a consistent emphasis upon what a leader does for the church, what is the function of leadership? But sadly, far too many times it is not the responsibility of a leader that comes into question, but the character of the leader that is in view. Perhaps a surprise, the problem in Ephesus and the purpose of Paul's letter is not to give a job description for leadership. But his leadership development method is to outline godly qualities of character. In addition, it may surprise us that Paul is not using his catalogue to run off the false teachers or disqualify them. It is clear that the false teachers now were once those who were chosen because they met the criteria Paul gives to Timothy. So what is his goal? It is to call those who have drifted into error back into the original qualities of their calling. Paul wants Timothy to bring about a restored leadership that once was sound. 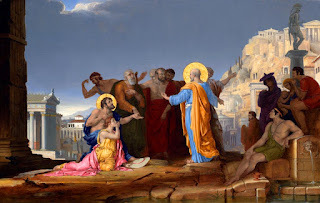 We will see the brilliance and patience of the Holy Spirit who not only called these elders into oversight of the flock in Ephesus, but is now also calling them back to the character that identified them as elders at the start.